We’ve been so lucky to see new dancers coming through the doors based on your referrals and we want to thank you for keeping up the momentum. 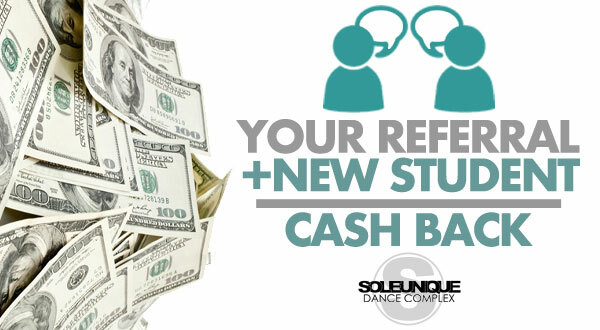 Since you’ve been spreading the word about your favorite dance studio, we are sharing the love and offering you even better rewards than before when your referral brings a new student to class. We love when you recommend the Sole Unique Dance Complex to your friends and families. For each NEW student that you refer to our studio starting Term 2 in 2018, we’ll give you AND your friend $30 that can be put to use for any (or all), of your dance tuition! The earnings don’t stop there. Check this out; If you refer up to 5 new students during a term, your cumulative incentives could cover the cost of one, hour-long class for an entire 8 week term. This referral program is season-long. Full rules and details at the bottom of this page. Your name must be entered on the “How Did You Hear About Us” or “Referred By” line of the new student’s registration form at the time of registration to qualify for program rewards. If multiple names appear on a new customer’s “How Did You Hear About Us” or “Referred By” line of their registration form, only the first-listed name will qualify for the program reward. If you have already registered and paid for your current term tuition prior to a confirmed referral, your SoleCash credits will be applied to your tuition for the upcoming term. Award redemption applies only to dance class tuition and cannot be combined with any other offer or scholarship agreement. In no circumstance will cash/check be distributed to the referrer or new customer under the terms of this program. Effective only upon new customer’s completed registration. Both current customer and new customer will receive a confirmation email once the new customer completes registration. © 2019 soleuniquedance All Rights Reserved. Claire Grice first discovered her love for dance at a young age under the direction of Anthony Foster and Victoria Bunch at SoleUnique Dance Company. She then continued her training while at the University of Illinois in Urbana-Champaign as a part of the UIUC Dance Department. Claire was also Treasurer of the hip hop company, Dance 2XS UIUC, in which she first showcased her choreography on the stage of URBANITE in 2014. 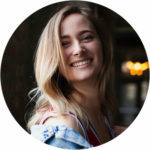 After graduation, Claire moved to Chicago to continue her education at Columbia College Chicago, eventually receiving her Masters Degree in Arts Management. Since living in the city, Claire has trained and performed with many Urban Movement Dance Companies, such as CODA, Raindodgers, Thee Package Deal, and The Groove Theory. Claire has also since trained at Studio 68 in London, England, and Movement Lifestyle, Debbie Reynolds, and Millennium Dance Complex in LA. Claire has had the honor of performing with Ciara for WE Day at the All State Arena, on the stages of the House of Blues Chicago and Cleveland with Thee Package Deal, and for the Gateway for Cancer Gala at the Sheraton Chicago. Most recently, Claire continues her training in Chicago, while also managing her event, REVEAL Dance Experience, as well as URBANITE. She hopes to share her passion for dance, as well as inspire all those she has the opportunity to work with. Hard work, dedication, and commitment are the pillars she works to instill in the next generation of dancers. Nicole began dancing at the age of three. She studied jazz, contemporary, hip hop, and even Irish dancing before deciding to seriously pursue ballet. She went on to study at Salt Creek Ballet and the Academy of Dance Arts. At fourteen, a debilitating stress fracture was discovered in her lower spine, and she stopped her dance training to rehabilitate until the age of eighteen. In that time, she pursued musical theatre and show choir at Wheaton Warrenville South High School. After re-entering the dance world, Nicole went to study at St. Olaf College in Minnesota on a dance scholarship. Since graduating, Nicole has trained as a scholarship and HS Professional Program student at Hubbard Street Dance Chicago, performed with Mandala South Asian Arts as a soloist, and played a principal role as “Ballerina #1” in FOX’s hit show “Empire”. This June, she had the wonderful opportunity to study at American Ballet Theatre’s collegiate summer intensive in New York City. She is thrilled to be home teaching at SUDC and performing this year! Brittany Latta, originally from Wheaton, IL, received her BA in Dance at Western Michigan University in Kalamazoo, Michigan. She has trained intensively in ballet, modern, jazz and hip hop, fusing the techniques together to create a unique style. 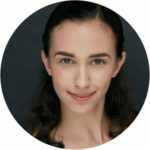 Her Holistic Health Care minor compliments her dance portfolio by providing a unique understanding of movement mechanics in the human body, creating methods in approaching performance through a mind body connection to herself, and those around her. Throughout her undergrad, she was lucky enough to work with renowned dancers and choreographers of different styles, including Gabrielle Lamb and Rennie Harris, as well as WMU faculty members David Curwen and Monique Haley. She furthermore choreographed for a production where she was able to collaborate with composers and poets, which have additionally supported her dance endeavors. Brittany was also a hip-hop performance company member with WMU’s Hip Hop ConnXion Michigan under the direction of Annie Franklin. All of these experiences contributed to Latta becoming a well-rounded dancer and living up to her holistic views on movement. Post grad, Latta has had the opportunity to train as a scholarship student at Visceral Dance Center in Chicago, IL under the direction of Nick Pupillo. Brittany is also currently a company member of Chicago’s newest dance company, Hot Crowd. 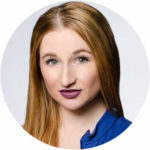 When she’s not in training or rehearsal, you can find her doing freelance projects and performances around the city, or teaching at local dance studios, striving to use dance as a platform for inspiration and change in the community. 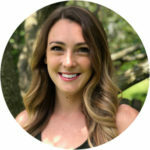 Emily is extremely excited to return home to Soleunique as a teacher and director of the SoleSquad Dance Team. Emily’s career in dance started in Wheaton at the age of three. From ages 13-18, Emily was a member of Soleunique Dance Company under the direction of Victoria Bunch and Anthony Foster. She furthered her training at the Royal Winnepeg Ballet in Canada at age 15, and performed in competitions throughout the Midwest gaining scholarships and performance accolades in styles such as jazz, ballet, hip-hop, contemporary and tap. In 2013, Emily joined the University of Illinois Illinettes Dance Team, in which she became well versed in pom, and dance team specific hip-hop and jazz styles. With the Illinettes and the Marching Illini, Emily performed in Dublin, Ireland at the St. Patrick’s Day Parade, Chicago Bears Halftime, as well as NYC in the Macy’s Thanksgiving Parade. In 2016, Emily became the Captain of the Illinettes, and was the lead choreographer, organizer, and admin of the 28 person team. She taught high school teams and students in the surrounding area of Champaign as well. Emily led the Illinettes to new heights while performing with the Marching Illini for crowds of 60,000 or more at all home football and basketball games. Emily hopes to inspire every dancer to not only become better technically, but to better themselves as people through upholding respect for the art of dance, respect for their fellow students, and respect for themselves.